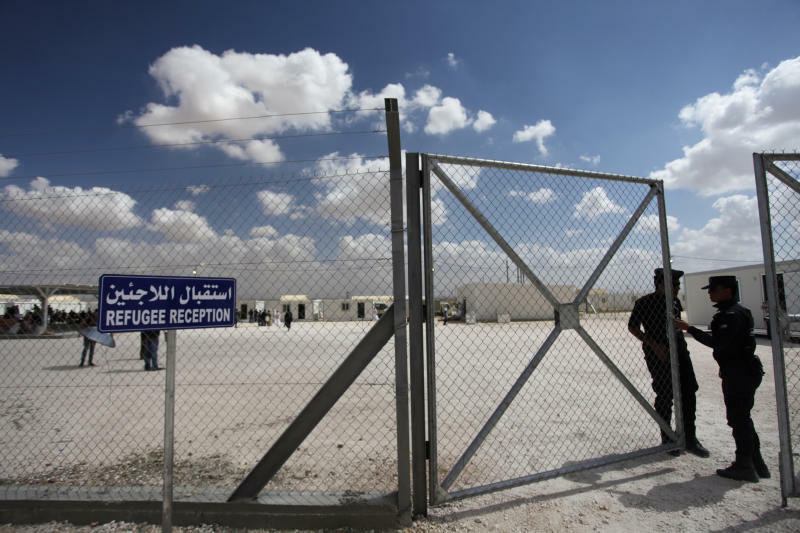 MRAJEEB AL-FHOOD, Jordan (AP) — Struggling to cope with the influx of Syrian refugees, Jordan on Wednesday opened a second camp for Syrians fleeing the civil war at home. The kingdom has sheltered nearly half a million refugees who escaped the two-year conflict but officials fear that the number of Syrians could double in the next six months as the fighting escalates as the weather becomes warmer. 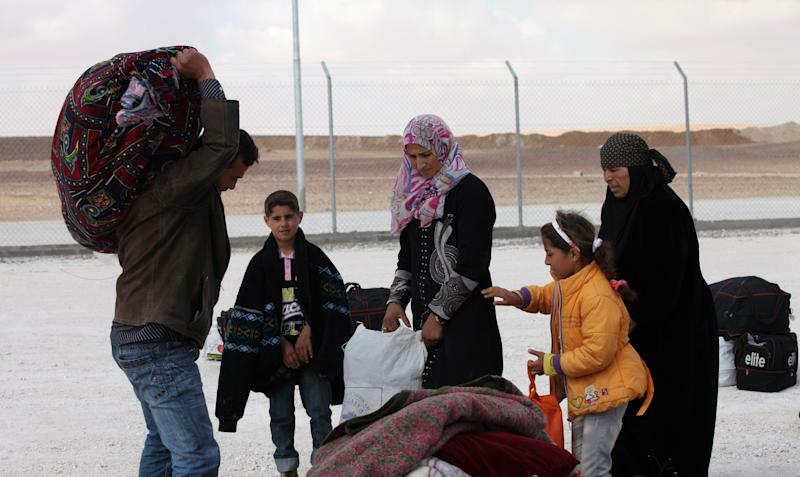 Since the beginning of the year, an average of 1,500 to 2,000 Syrians have been pouring into Jordan daily. Initially, the kingdom was reluctant to set up refugee camps, possibly to avoid angering Syrian President Bashar Assad's autocratic regime by showing images at his doorstep of civilians fleeing his military onslaught against them. 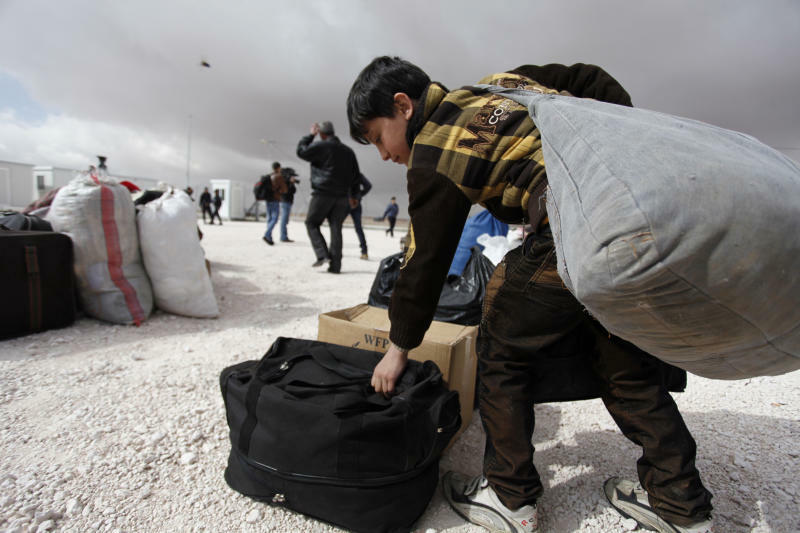 But last summer, Jordan opened the Zaatari refugee camp close to the Syrian border. And on Wednesday, a second desert camp — this one funded by the United Arab Emirates and run by its Red Crescent Society — opened its doors in Mrajeeb al-Fhood, about 37 kilometers (23 miles) from the border, and welcomed its first batch of 110 Syrians. One of the first to enter was Ahmed al-Hassan, 30, a butcher who fled Syria with his wife and two young sons. He said it took them four days to reach Jordan after escaping the Baba Amr neighborhood in the central city of Homs. They travelled on foot, at first along Syria's border with Iraq, hitching rides and occasionally hiding in shops to escape government forces. Behind them, he said, they left a wasteland that was recently recaptured by Assad's troops. "There is nothing left there," said al-Hassan, hugging his sons who appeared apprehensive of the new surroundings. The rest of the family stayed behind in Baba Amr. "The Syrian military destroyed homes and buildings. The dead have been left to rot in the streets." Other refugees appeared too frightened to speak to journalists but the children quickly became cheerful after Emirati Red Crescent workers distributed food, colorful building blocks and other plastic toys. Majed Sultan bin Sulieman, the society's relief director at the camp, said Mrajeeb al-Fhood will initially host 5,000 refugees but can be expanded to about 25,000 residents — all living in trailers. Anmar Hmoud, a Jordanian government spokesman for Syrian refugee affairs, called Wednesday a "soft opening," adding that more Syrians would soon fill up the site. Sulieman said the Emirati government will cover all the expenses of hosting the refugees at the camp, including food, clothing, basic goods and medical aid. Dr. Mohamed al-Der'ee, the chief of an Emiriati clinic set up at the camp, says his team of more than two dozen doctors, nurses and lab technicians will handle pediatric, dental, pharmaceutical and internal medical care for the residents. The team also included Jordanian and Syrian health workers, said the U.S.-trained al-Der'ee. Unlike Zataari, which now has over 100,000 Syrian refugees, the new camp is a small facility where the U.N. refugee agency's only role will be to register newcomers and provide protection activities to support the most vulnerable, according to Mathilde Tiberghien, a UNHCR official. Zataari, overseen by the Jordanian government and UNHCR, has mushroomed into Jordan's fifth largest city and it has seen an increasing number of reports of crime, including prostitution and drug-dealing. Numerous riots among residents have also erupted over harsh desert and weather conditions. Tiberghien said UNHCR will be using iris scans for the first time at the Emirati camp. She added that UNHCR and Jordan are building a third camp, about 45 kilometers (28 miles) away but that finishing the facility is contingent on international funds, which have not yet come through.